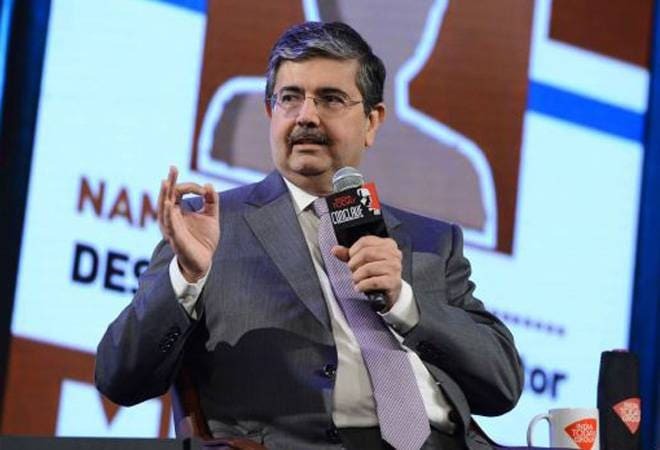 On demonetisation, Uday Kotak, executive vice chairman and managing director of Kotak Mahindra Bank, said the outcomes would have been different if it was planned well. The outcome of the controversial demonetisation would have been "significantly better" if "simple things" like not cancelling the higher denomination of Rs 2,000 notes, banker Uday Kotak has said. The executive vice chairman and managing director of the fourth largest private sector lender Kotak Mahindra Bank has also said small businesses are in a difficult situation at present and has welcomed the government focus to revive the sector. On demonetisation, he said the outcomes would have been different if it was planned well. "I think we would have had significantly better outcomes, if we had just thought about simple things. If you are taking out Rs 500 and Rs 1,000 notes, why would you introduce Rs 2,000 notes? " Kotak asked while speaking at former chief economic advisor Arvind Subramanian's book launch here over the weekend. Kotak said as part of the "execution" strategy, it was essential to ensure larger quantum of notes of the right denomination were made available. If such things were undertaken, "we would have been talking very differently today than now," he said. But Kotak claimed that for the financial sector, demonetisation has been a "huge boon". He said the growth in financial savings have been "unbelievable", which has also led to a challenge of risk management. On November 8, 2016, Prime Minister Narendra Modi surprised all by announcing a withdrawal of the Rs 500 and Rs 1,000 notes, claiming to curb black money and fake notes. But the final numbers have disproved all the calculations wrong as 99.3 percent of the cancelled notes worth close to Rs 15.8 trillion has come back to the system. This was immediately followed with the introduction of Rs 2,000 note by RBI the same evening. Later, the Central bank has also introduced a Rs 200 denomination notes. On the small businesses sector, he pitched for more focus saying the sector is impacted. "I believe that the SME sector has taken a significant amount of pain. Getting credit for them is tough even now", he said. He also welcomed latest government moves for the sector.